Happy Sunday, my dear chipmunks! Did you enjoy a weekend of hiding acorns and engaging in crime-solving adventures? I do hope so. Here at Chez Fancy, our weekend plans were rather derailed. My dear professor and I were supposed to road trip up to Dallas, where my best friend lives. We were going to eat French pastries, drink German beer, and--best of all--visit the Texas State Fair. Alas, our weekend of fried delicacies (this year's winner: Fried Thanksgiving Dinner, for real real) and classic Americana was not meant to be. Instead, we stayed home to avoid biblical thunderstorms. All was not lost though. As part of my travel prep, I'd made a pretty sweet dress! Why, yes, I did make another Anna dress variant. Why, no, this isn't the last one planned. 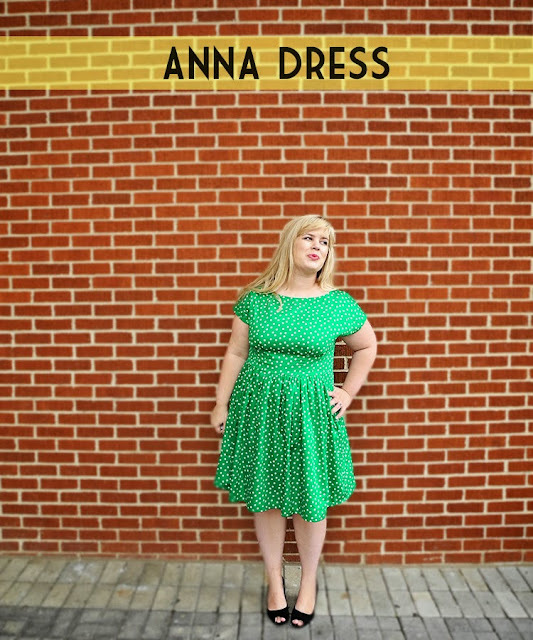 This Anna sets herself apart from the pack, by virtue of the green-and-white polka dotted fabric she's made up in. It's a dreamy cotton voile that I bought last year from Fabric Mart for a song. It's also the perfect thing for a fair! There is nothing more American than eating fried Twinkies, while wearing polka dots. If we'd actually ended up going, the fair probably would have been hectic anyway, because of all the bald eagles soaring and star-spangled banners waving in my presence. Apologies for the wrinkles! We went to brunch, before this photo outing and this fabric wrinkles easily. 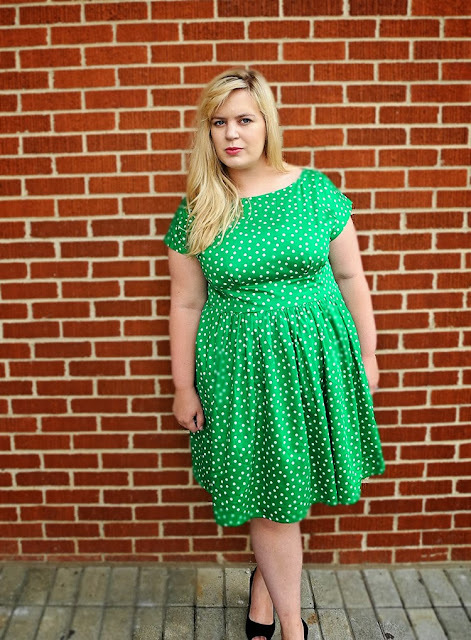 Warning: "Fantasy" may be stuck in your head for days, after wearing this dress. As for the pattern itself, well you've heard this spiel already. Anna dress + gathered skirt = bliss. To change things up a bit, I used the slash neckline bodice variant, rather than my previous v-neck. 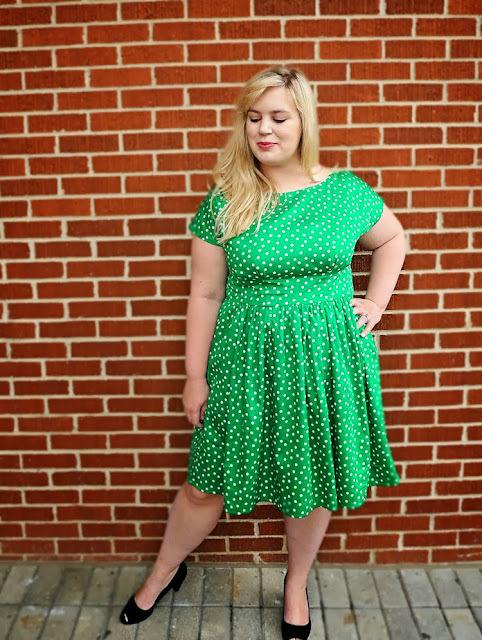 Normally, I don't love high and wide necklines, but this one is surprisingly flattering. It's probably due to the visual balance, when paired with the bodice pleats. This bodice, it seems, just gets better and better. My construction of this dress was, at least, different this time around. Instead of the usual facings, I cut a lining out of green cotton lawn and inserted that in the same manner prescribed by By Hand London themselves. After machine stitching it in around the neckline, I slip-stitched the arm holes and zipper seams closed by hand. I don't know what's been going on lately, but I am finally understanding the joy of hand-sewing. It's probably a phase that will pass, but I'm reveling in it for now. 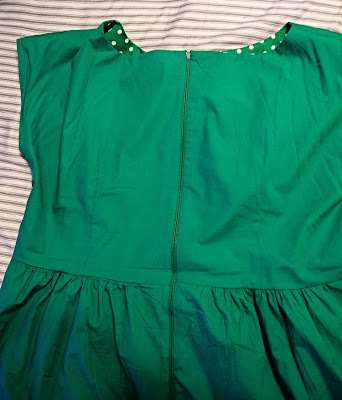 The other major changes were my now-standard fixes: a gathered skirt, in-seam pockets, and hand-picked traditional zipper. Woohoo for more hand-sewing! Note: Siccing (th)'em is that odd hand signal I'm doing above. At football games, of which I've been to exactly one, the whole crowd waves their "bear claws" and yells "Sic 'em!" together. It's adorably weird. Though, I can't knock traditions, graduating myself from a school with some of the oddest. The fabric! 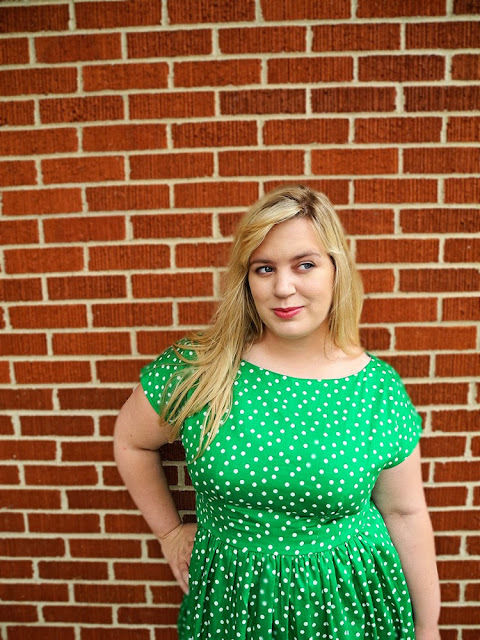 I'm crazy about these polka dots. The pattern is quickly becoming a real go-to for me, as you can tell. Added the lining after the zipper, so that the finish was prettier. Stay-stitched the neckline. For the love of Reveille, please stay-stitch your neckline! Switched the invisible zipper to a hand-picked zipper. If you're curious about this technique, I recommend Tasia's tutorial. Nothing. After four times, this pattern and I are in love. This looks lovely on you! 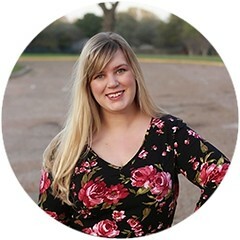 I just found your blog recently and seeing all of the great things you make is inspiring. 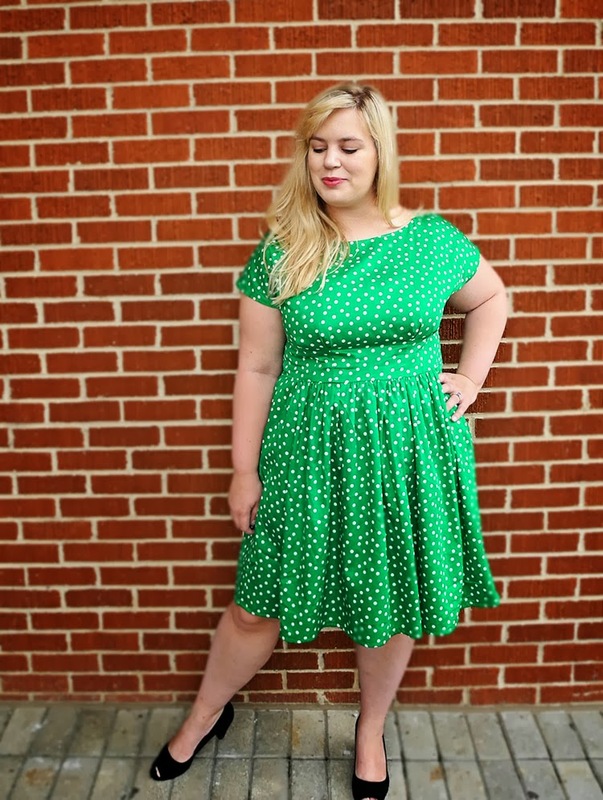 I'm a size 16/18 and a newb at sewing so I've had a hard time invisioning how certain patterns will look on me. I need to quit just sewing for my kids and buy the anna pattern already! Thank you, Brittani! I'm so glad you've found my little corner of Blogland. 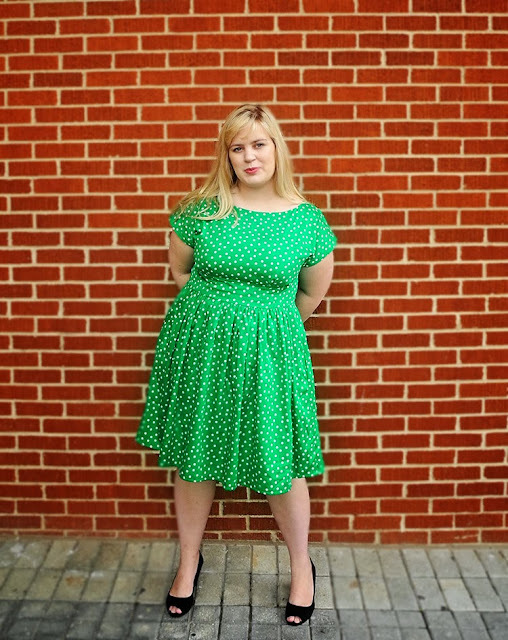 It always great to meet another curvy sewist trying her hand at dressmaking. There aren't enough of us posting out here. Honestly, the Anna is a fantastic pattern, especially for a semi-beginner. Fitting it is super easy and it comes together beautifully. If you try it out, let me know how it goes! I would love to see pictures. You make my favorite Annas! Wow! Thank you so much, Rachel! You look amazing in this green color! Thank you, Lauren! It's one of my favorite colors to wear, hands down. Do it! Do it! Do it! This pattern is so, so satisfying to sew up, Susan. I cannot rave about it enough. I am so tempted to make it five more times! Also: Gig 'em! Aggie sewists for the win. Anyway, on to the dress! Your Annas bumped the pattern to the near-top of my to-sew list. The gathered skirt is just the bee's knees. 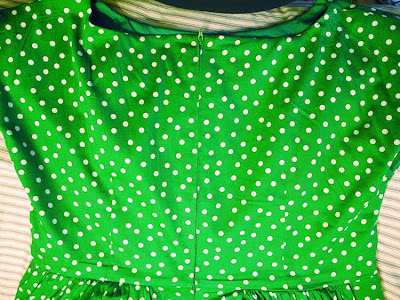 Randomly, you always seem to get the best fabric online, and this green cotton is no exception! I'm still actively jealous of that Marc Jacobs bow-print cotton. Swoon. Charlotte, you know, I still haven't used that Marc Jacobs fabric for anything. It's so cute that I haven't been able to cut into it. I am ridiculous. One of these days... Also, I can't speak highly enough of Fabric Mart. They don't always have the best stock, but they really do get some amazing designer & RTW shipments in. Right now they have a stock of J. Crew silk/cotton voiles that I'm swooning over. Also, count me in for finding the whole college sports thing "interesting." I went to a school with crazy strong traditions and a rabid fan base. By my sophomore year, I didn't even think about going to games anymore. Why stand out in the heat for four hours on a Saturday? I read books instead and my friends called me, after they'd showered and recovered from dehydration. And, I can't wait to see the Anna you come up with! This pattern will look amazing on you. Thank you, Roisin! I can't wait to see your v-neck Anna. It's hard to choose which is my favorite, now that I've made them both up. A fantastic pattern, either way! 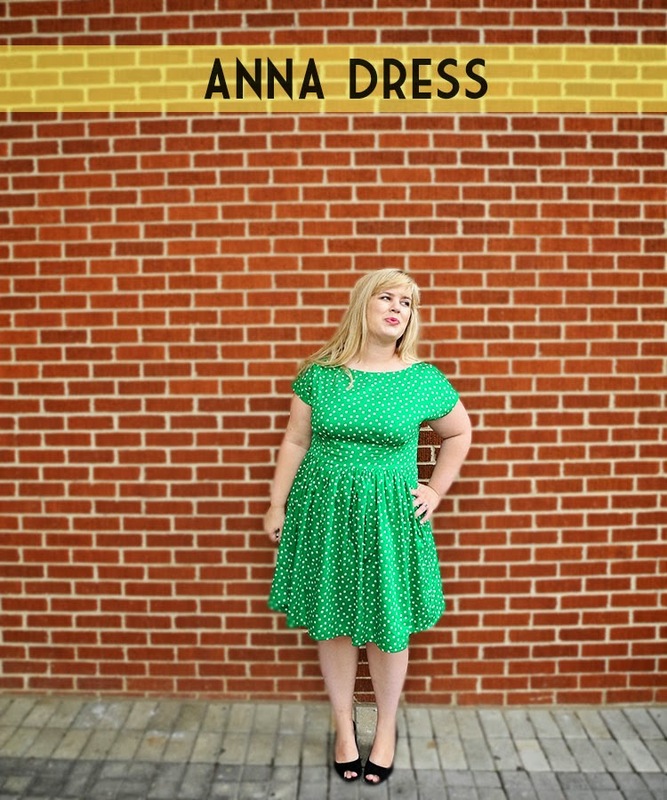 Love this Anna dress! My pattern is in transit. I was thinking about doing a gathered skirt. I definitely will now after seeing how great it looks on yours! Thank you, Abbey! 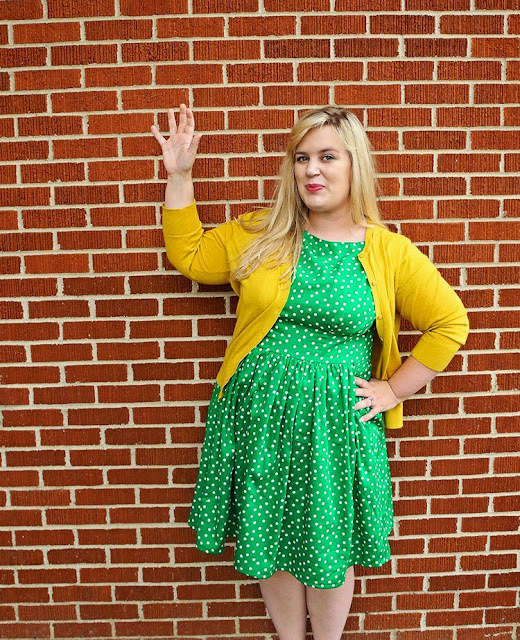 I can't recommend the gathered skirt pattern hack enough. The original design is cute, but especially for cotton fabrics, the dirndl pairs amazingly well with the Anna bodice. I can't wait to see yours! You look smashing in this Anna! It also took me a while to get to love hand sewing, but now I rarely make a garment without at least a handstitched hem. I find hand sewig very calming and the results are just so superior. Nothing makes me happy as pretty little fell stitches! Thank you, Joelle! Oh, I haven't began to hand-stitch all my hems yet. 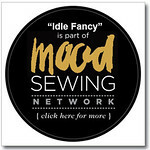 That may be my next hand sewing adventure! I'm really shocked at how much I've begun to enjoy it, but there is something so soothing about the process, and you're right - the results are infinitely better. *sigh* Yet another lovely Anna! Thanks, Janey!! This is quickly becoming my favorite pattern, can you tell? very cute! The color looks lovely on you! Thank you so much, Paige! Oh wow! I hate to say it to the bat version but I think this is my new fave! The slash neckline looks great- and I really like the lining (odd, but for some reason I like lined bodices in frock). Rad work yet again, Mary! Love it, and found your lovely blog via the By Hand website.